Babar Azam's pyrotechnics went in vain on Sunday as South Africa stole victory from their grasps to hand Pakistan a rare series loss. This loss just adds up to the already disappointing tour which has seen Pakistan lose the Test and ODI series and will be hoping to bring in a sense of respectability as the action moves to the Centurion for the third and final T20I of the series. After serving a four-match suspension, Pakistan captain Sarfraz Ahmed is back in the green of Pakistan and should boost a side devoid of confidence. On the other hand, South Africa's brilliance in the death on both occasions has shone through with David Miller, starring with bat and in the field resulting in an emphatic series win. Considering Pakistan's multiple resurrection acts in the past, one cannot rule out the number one side in the world to rebound and regain some of their lost credibility on Wednesday. With the series wrapped up, Willem Mulder could play instead of Junior Dala, who hasn't done well so far. Klassen should continue to don the gloves with Miller slotting in at number four. Lutho Sipamla was economical on his debut and is one to keep an eye on. Possible XI: Reeza, Malan/Cloete, Dussen, Miller(C), Klassen(WK), Mulder, Phehlukwayo, Morris, Sipamla, Shamsi and Beuran Hendricks. After two unsuccessful chases, Pakistan would be glad to see the return of their captain, Sarfraz Ahmed. Asif Ali hasn't been in his elements this series and should be replaced with Faheem Ashraf, who could double up as a bowling option. Usman Khan was quite expensive in the death and could sit this one out for Mohammed Amir. Possible XI: Azam, Zaman, Talat, Sarfraz (WK&C), Malik, Faheem, Wasim, Shadab, Hasan Ali, Amir and Shaheen. Wicket-keeper: Sarfaraz Ahmed's return to the side should benefit Pakistan with the diminutive keeper capable of accelerating in the middle overs. Klassen is also a viable option with the South African slated to bat at number five to provide the much-needed impetus at the end. Batsmen: Babar Azam and Rassie van der Dussen were brilliant in the previous game and have been in good form throughout the tour. Both of them are great options to choose along with the likes of Fakhar Zaman, Reeza Hendricks and Shoaib Malik. All-rounders: Andile Phehlukwayo has been the standout bowler for the Proteas with three wickets in the second T20I. With the allrounder given the finisher role, he should excel in the last match of the series. Either of Shadab Khan or Imad Wasim would also be quite handy with their ability to play the big shots and bowl an economical spell being key. Bowlers: Tabraiz Shamsi and Shaheen Afridi have impressed in the series and should be picked in your fantasy teams. Lutho Sipamla shone on his debut with a very economical spell of fast bowling. Along with Beuran Hendricks and Hasan Ali, Sipamla could prove to be a handy pick as well. Captain: Fakhar Zaman has been good in patches but hasn't been able to get going. The last T20 could be his final chance at salvation and rightly so we can expect fireworks from the south-paw on Wednesday. Other options include Reeza Hendricks and Babar Azam. Fantasy Suggestion #1: Sarfraz Ahmed (WK), Babar Azam, Fakhar Zaman, Rassie van der Dussen, Reeza Hendricks, Shadab Khan, Andile Phehlukwayo, Shaheen Afridi, Hasan Ali, Lutho Sipamla and Tabraiz Shamsi. Captain: Fakhar Zaman. 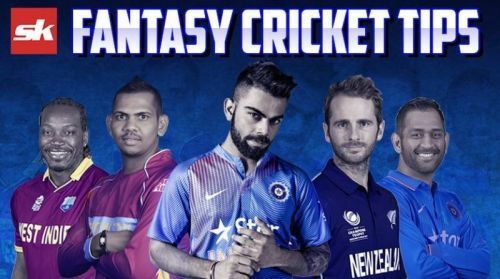 Fantasy Suggestion #2: Heinrich Klassen (WK), Shoaib Malik, Fakhar Zaman, Reeza Hendricks, Rassie van der Dussen, Shadab Khan, Imad Wasim, Andile Phehlukwayo, Beuran Hendricks, Lutho Sipamla and Shaheen Afridi. Captain: Reeza Hendricks.